Next September 13th a new edition of Dorkbot – the community of people who do strange things with electricity in Barcelona– will be held in Hangar. This edition will be mainly focused on music and we will count on the collaboration of Brew By Code, a craft beer made especially for us. Save the date and don’t be late, the event will start at 7PM. 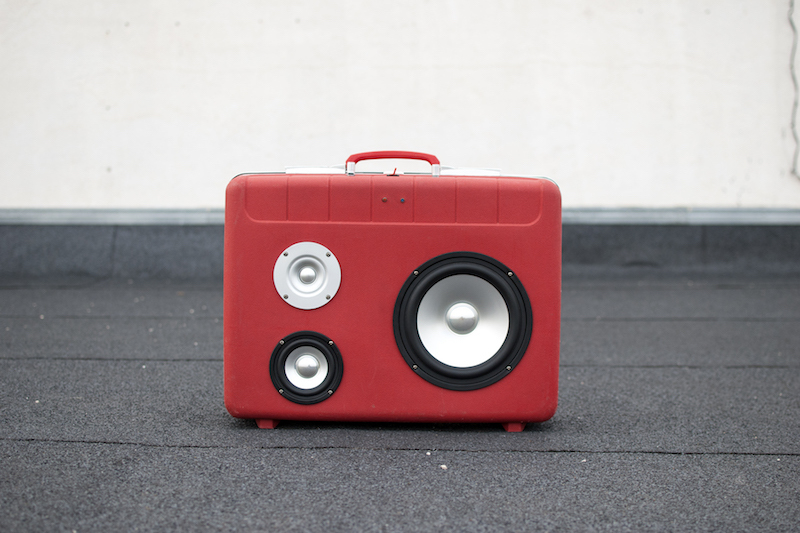 Bounceybox , the vintage suitcase turned into portable musical equipment. Bounceybox was born around two years ago with the aim of joining music, design and vintage aesthetics. It is a tribute to the underground culture of the 80s, when the marvelous and enormous boomboxes were carried down the street. Besides vintage design, a differential note is wireless connectivity which helps achieve a harmonic union between past and future. All models are unique due to their creation process and are clearly different from the bluetooth loudspeakers that are created and mass-produced by major consumer electronics brands. 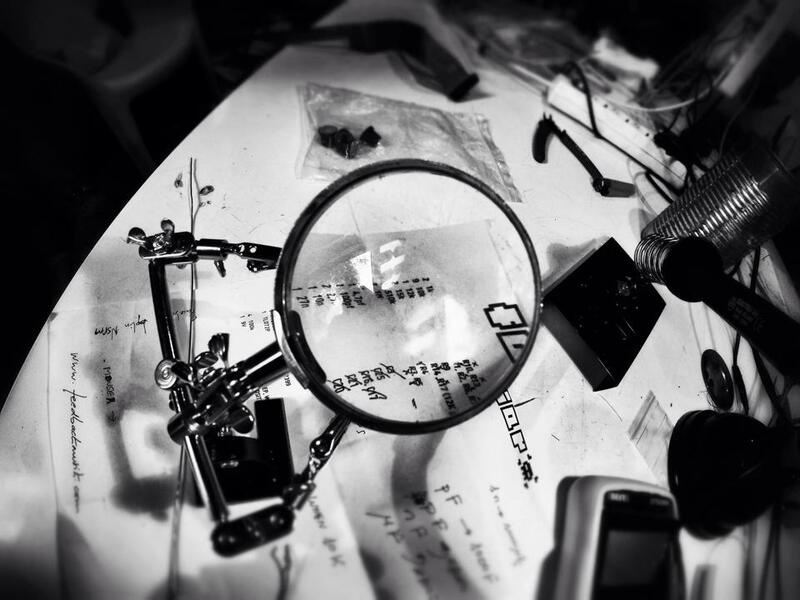 Familiar is a collective that focuses on the construction of sound devices, circuit modification and retro computing for creative purposes, that encourages and promotes the use of technologies and tools for cultural development. With more than six years of experience, Familiar has already carried out a multitude of workshops throughout Spain, Lisbon, Marseille, Amsterdam, Rotterdam or Gent and several Familiar Fests, a festival that combines experimental music with various workshops and seminars. Eloquencer is the first product of Winter Modular, the Barcelona-based brand of Eloi Flores. 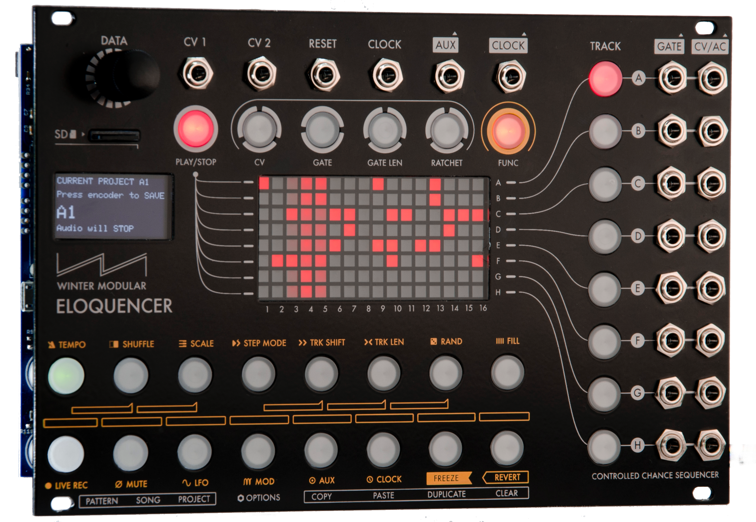 This Eurorack sequencer revolves around the concept of “controlled randomness”: you decide when there will be randomness, and to what extent it will affect the sequences. Designed for both live performance and production, it offers eight tracks of CVs and gates in a 16-step layout, but patterns can be chained up to 256 steps. Although the majority of the control is performed with a wide array of touch buttons, a small OLED display gives contextual information of all parameters and access to menus.